Management of hyperthyroidism, thyrotoxicosis (including thyroid storm), and also for the preparation of patients for thyroidectomy. It can also be used in combination with radio-active ablative therapy. The initial dose: 20 - 60 mg, in 2-3 divided doses until the patient is euthyroid. Daily dosage should be divided. 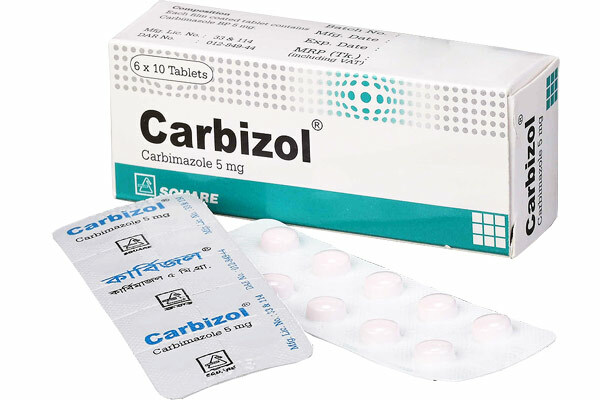 Carbizol® Tablet: Each box contains 6x10 tablets in blister pack..